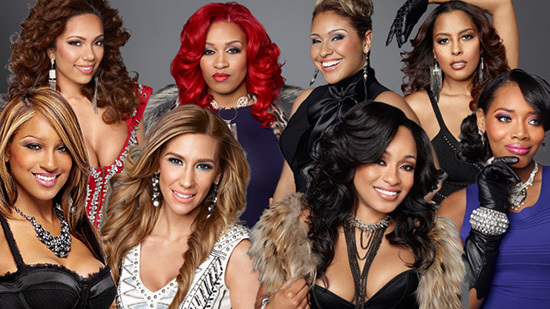 Last night's episode of Love & Hip Hop New York was quite interesting with two seperate love triangles. The first love triangle is between Joe Budden, Tahiry, & Kaylin and is no surprise to us. Throughout this season of LHHNY we see that Joey is still in love with Tahiry and he never tries to break ties with Tahiry despite all the drama that goes on between the two. Joe has it bad for Tahiry. We even saw him shed a tear in last night's episode and crazy enough he wants to have his cake and eat it too with his current girlfriend Kaylin Garcia. Well, it's a good thing that Tahiry is holding her ground and reminds Joe that he's the one that hurt her during their relationship. I can't wait to see how things pan out with these two. As for Kaylin she must be a ride or die chick for Joe, and we get it Kaylin seems like she is depending on Joe because he "saved" her from her homeless situation and gave her everything she needs in life including love. We hope Kaylin realizes that Joe is in love in Tahiry and moves on with her life on the other hand we're happy to see that Joe is making her aware of what he is doing instead of leading her on. It's just crazy that she is accepting whatever Joe throws at her. Now on to Rich Dollaz, Erica Mena, & Rich's ex-girlfriend love triangle ummm let's see "Where do we I go from here?" theme of the night seemed like and also the title of the infamous Erica Mena vs Oliva song. I can't fathom how Rich is getting himself intertwined with all of these women, but should we really be surprised? Olivia said this numerous times during the season that Rich loves women. Anyway, time will tell. Last, we got to see Mendeecee's turn himself in to the Feds, it was so sad especially now that Yandy was seeing her life with Mendeecee's as a family unit. We Can't wait to see what happens. Check out episode 11 & the other drama that occurred and tell us your thoughts.